Regularly using talc-based baby powders to soothe sensitive skin or eliminate unwanted moisture could eventually lead to cancer, alleges a new class action lawsuit filed against drug giant Johnson & Johnson. Plaintiffs say the company’s popular baby powder product increases women’s risk of ovarian cancer by 33 percent, and that J&J has known about the risk for more than 30 years. Extracted from mines across the U.S., talc is a hydrous magnesium silicate that is very soft on the mineral scale, making it an effective treatment for skin chafing, excess moisture, rashes and other skin problems. The product is typically marketed with babies in mind, as mothers can apply it to their baby’s bottoms in between diaper changes as a way to both cool and comfort them. But the mineral doesn’t appear to be safe, and women who use it in their genital areas seem to be much more likely than other women to develop cancer. J&J has failed to warn women of this risk, claims the suit, which means that the company could be liable for committing fraud, not to mention deceiving customers with false pretense, misrepresentation and deception. One such study, which was released back in 1982, found that women who used talcum powder are actually 300 times more likely than other women to develop cancer, which is significant. The plaintiffs claim J&J was aware of this study’s findings, but failed to address them, putting untold millions of women at needless risk. “As early as 1982, defendants were acutely aware of the scientific evidence linking ovarian cancer and perennial use of talcum powder,” explains the suit. The suit comes on the heels of an earlier one filed in South Dakota, in which a federal court last October found J&J guilty of causing ovarian cancer in women, and negligent in informing women of the risk. Since that time, at least three other lawsuits against J&J have been filed, all claiming that its talc-based products cause cancer. 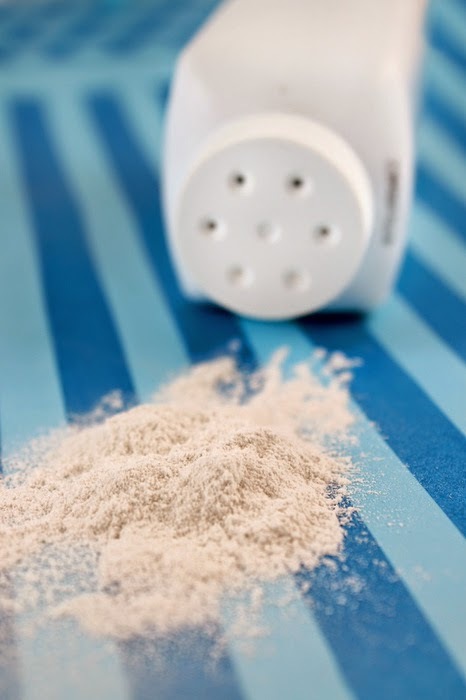 “Despite defendants’ knowledge, defendants failed to inform plaintiffs and the class of material facts and misrepresented material facts in connection with the sale of Johnson’s Baby Powder,” claim the plaintiffs. Those eligible to participate in the class are Missouri residents who purchased Johnson’s Baby Powder within the past five years. The claims filed against J&J are based on alleged violations of the Missouri Merchandising Practice Act, with the plaintiffs calling on the company to issue a corrective advertising campaign. Be the first to comment on "Baby powder increases ovarian cancer risk by 33 percent, lawsuit claims"